Earlier this month, 49 young women and 52 young men left their homes and headed to Guacimo, Costa Rica, where they joined the EARTH University family. Alongside one another, this new cohort – the Class of 2019-2022 – will spend four years studying agronomy in a global context and, in the process, become global citizens and agents of change. During the experience, widening one’s perspectives won’t be optional. 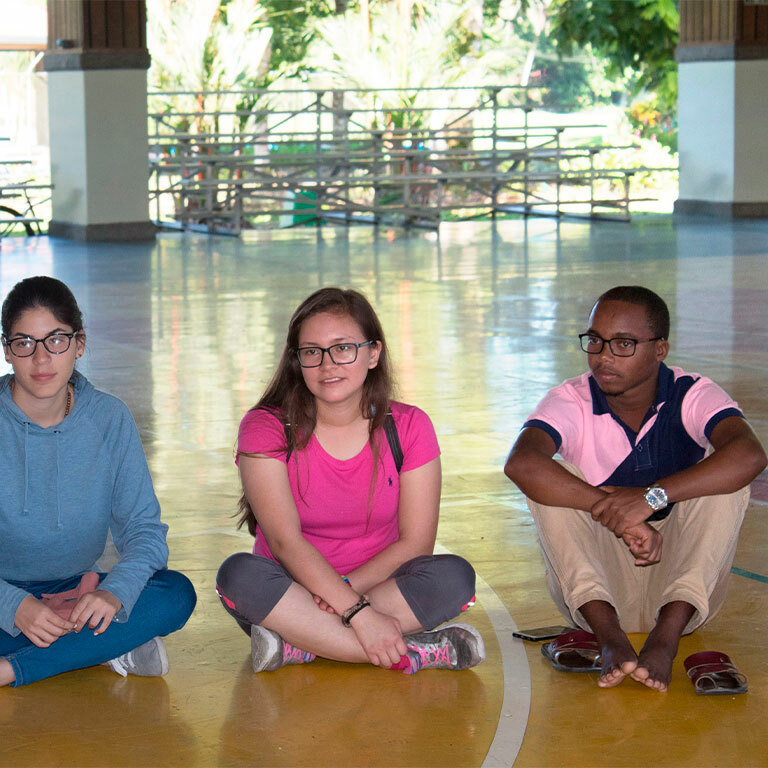 Each student will share a dormitory with someone from a different background – granting them the opportunity to form deep friendships with and learn to collaborate among peers of 23 different nationalities. It is key to recognize that today’s young people who decide to enter the field of agriculture will not only be growing food. They will represent the future of rural development and be on the frontlines of addressing critical global challenges. They will work toward poverty reduction, zero hunger and resilience in the face of climate change. This year, the student body includes 436 people through whom the University seeks to reaffirm its mission and uphold the promise of ushering in a future that is more sustainable, just and peaceful for all of humanity. New student Heilyn Calvo, from Costa Rica, said that EARTH is the best place to pursue and achieve her dream. She is motivated by a desire to meet the needs of rural areas. Similarly, Goodluck Mushi, from Tanzania, applied to the University to fulfill what he believes is his life’s mission: being an agent of change in his home country through his work in sustainable agriculture. EARTH’s educational model is rooted in experiential learning and offers a holistic vision of agriculture. All students are encouraged to manage their own small enterprise while on campus, as well as to develop impact projects that will better the lives of small-farming families and their communities. These experiences strengthen students’ decision-making and risk-taking abilities and teach valuable skills about conducting responsible business. EARTH University is committed to inspiring, preparing and supporting these future leaders of change, so they can contribute to the devising and implementation of innovative solutions to our collective social and environmental challenges. Together, they will foster a global community that champions dignity, mutual aid, critical thinking, leadership, active learning, tolerance and the sharing of tools and skills. In this video, you will learn more about the hopes and dreams of the 101 students who comprise our Class of 2019-2022. The 23 countries represented in our 30th cohort are: Belize, Bolivia, Brazil, Cameroon, Colombia, Costa Rica, Dominican Republic, Ecuador, El Salvador, Ghana, Guatemala, Haiti, Honduras, Kenya, Malawi, Mexico, Nicaragua, Nigeria, Panama, Paraguay, Peru, Rwanda, Tanzania and USA. We invite you to browse the album of photos from our latest Orientation Week.